WWKY Trivia: Before the WWKY calls came to Louisville, they spent many, many years attached to the 1380 frequency in Winchester, Kentucky. 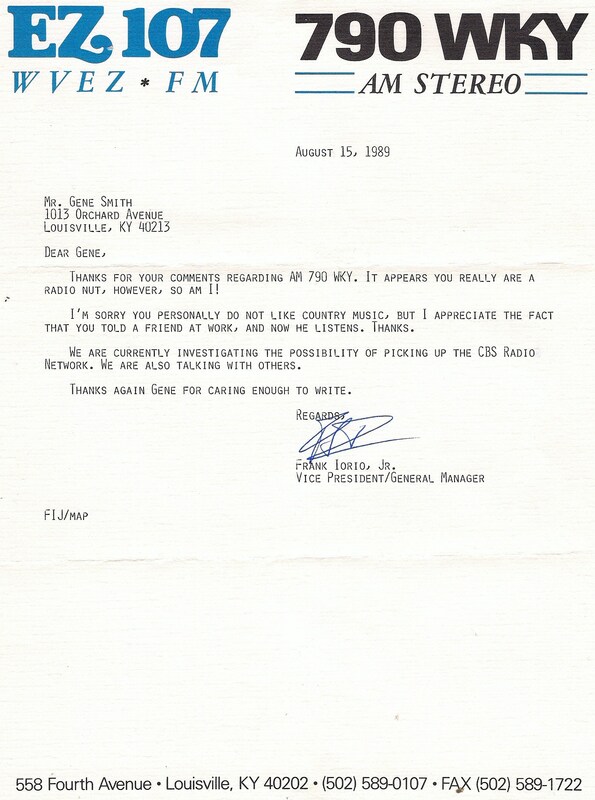 The most famous station that occupied the 790 frequency in Louisville previously was, of course, WAKY. 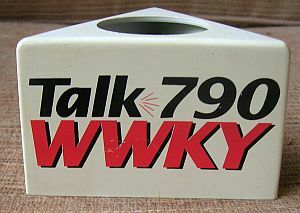 WWKY launched in 1989 with a traditional country format (imaged as "True Country"), but by 1991 the station had transitioned to a mix of country and news/talk, eventually dropping music altogether. 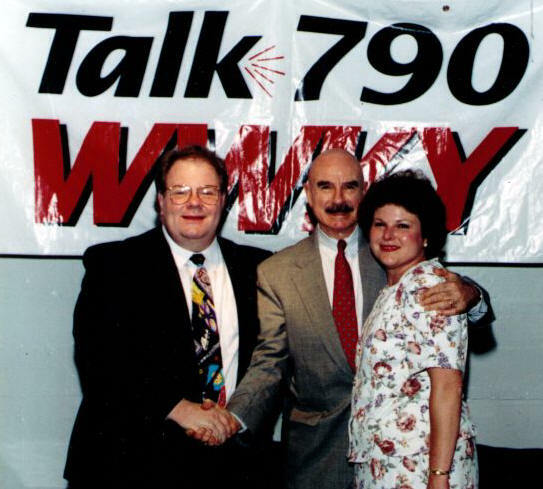 In 2001 WWKY switched to an all-sports format and marketed itself as "XTRA Sports 790" with a call letter change to WXXA. Know anything more about this station? 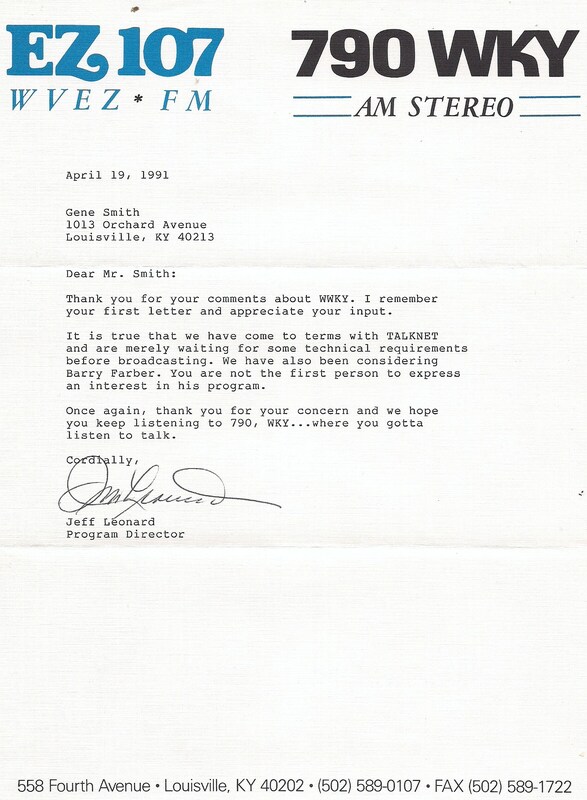 Have any WWKY airchecks, photos or promotional material? 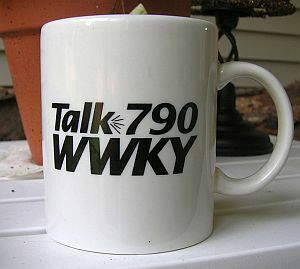 WWKY AM-790 has added another two hours of call-in comment as that outlet heads more and more into talk radio. Dr. Joy Browne, a psychologist who dispenses personal advice, is now heard Monday through Fridays from 10 a.m. to noon. She joining conservative commentator Rush Limbaugh, who is heard from noon to 3 p.m., and Dr. Dean Edell from 3 to 4. WWKY is still negotiating with NBC over rights to nighttime "TalkNet" programs.